Happy New Year 2010!!! TEAM STRONG HEARTS!!! I'm very honored to once again represent Team Strong Heart in taking on the challenge of RAAM 2010 to continuously support our Camp Odayin mission. Currently, the information is posted on www.teamstrongheartamyxu.blogspot.com or www.raceacrossamerica.org. The 3,000+ mile journey in 2010 will start in Oceanside, CA on June 8 (for the female solo category), through 15 states, and finish in Annapolis, MD. This mission has no limit and is beyond ourselves -- it is the Will to Do and Soul to Dare. 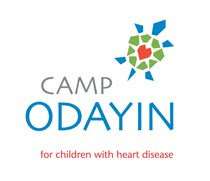 Your help and continuous support for TEAM STRONG HEART's mission to support Camp Odayin kids are greatly appreciated.